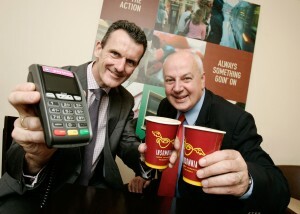 Insomnia Coffee Company, a chain of coffee shops with more than 60 locations in the Republic of Ireland, is rolling out contactless payment terminals for its customers together in a partnership with Payzone. Insomnia customers will now be able to wave their contactless payment card in front of the terminal and pay for a cup of coffee, all in a matter of seconds. 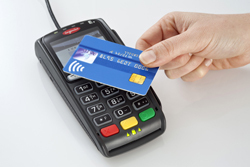 Contactless payment cards can be used for transactions up to €15 without the need for a PIN or signature, which translates in reduced transaction time and less queuing for customers.